The chorus for the central government to issue ordinance grows. The VHP (Vishwa Hindu Parishad) has demanded an ordinance to build the ram mandir. The Shiv Sena chief Uddhav Thackeray hailed the Tripe Talaq ordinance and then requested for an ordinance in a similar manner for the Ram Mandir. The RSS chief has also paid way for BJP to issue an ordinance in this matter after Mohan Bhagwat openly supported it. AIMIM chief Asaduddin Owaisi today spoke to ANI telling BJP, RSS and VHP to order ordinance. He further added that they keep threatening but don’t work on it. People from the majority seem dejected as the supreme court quickly heard matters on firecracker ban, Sabrimala temple. By adjourning the matter further people feel as though Supreme Court failed them. The Government has enough majority in the Lok and Rajya Sabha to have a law passed or if they’d like to go by the ordinance route or wait for a judgement. The government is still unclear on how they’d like to proceed. 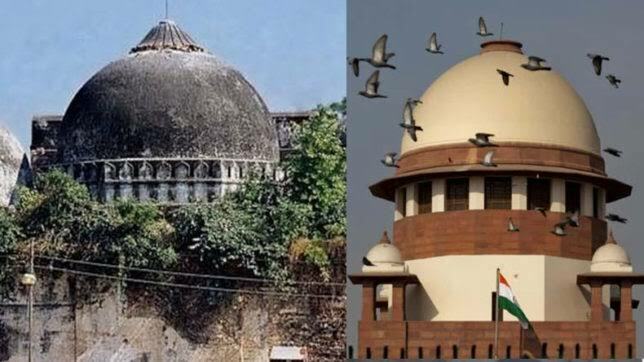 The Supreme Court of India heard the Ram Mandir case today. The Supreme Court adjourned the matter till January 2019, to decide on bench on regular hearings. Which means that regular hearings would start in Jan, Feb or March. At the current state it doesn’t look like the matter would be sorted before 2019 General Elections. Most of the member with the Government and outside want an ordinance on construction of Ram Mandir. The RSS chief too in his Vijaydashmi address requested for a quick resolution on the dispute. Shahi Tharoor recently said that “No true Hindu would want a temple in a land by destroying other religions structure”. He faced a lot of criticism after this statement. This long standing dispute exhists since Independence 1949. Its said that Mughal emperor demolished a Hindu temple and built the Babri Masjid at this site. In the 90s uprising of the right wing groups, and parties like BJP led to demolishing of the Masjid. The Allahabad High Court in 2010 ordered trifurcation of the land between Ram lalla, Hindu Mahasabha and the Sunni Wakf Board. This judgement didn’t go well with the Hindu majority since then a review is requested by the Supreme Court of India.